The apartment was just right after walking and little exhausting days in Rome ...everything for good living was there ,very convinient! The only thing we missed was one or two wine glasses..!thank you for a great time! Good service. Very nice apartment with all facilities. Walking distance to all tourist attractions. The beautiful botanical garden is also just a short stroll away and it’s absolutely worth the stop. The apartment stands on two levels. On the first, you’ll find a nicely furnished living room with a yellow sofa, white armchairs, and an enormous wooden mirror. Moreover, it offers a dining table with four chairs. 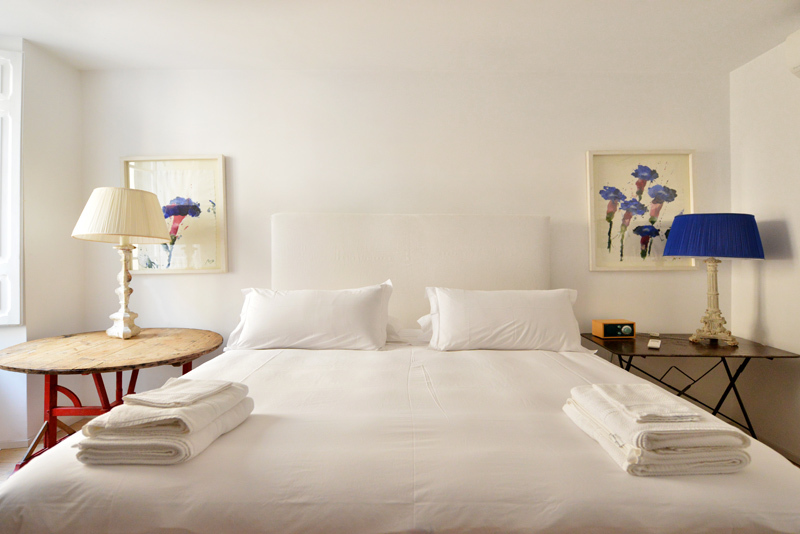 From the living room, you can access the air conditioned master bedroom. This will provide a king size bed, night tables, night lamps, a wooden desk, a flat 32″ screen TV, a mirror and a wardrobe. 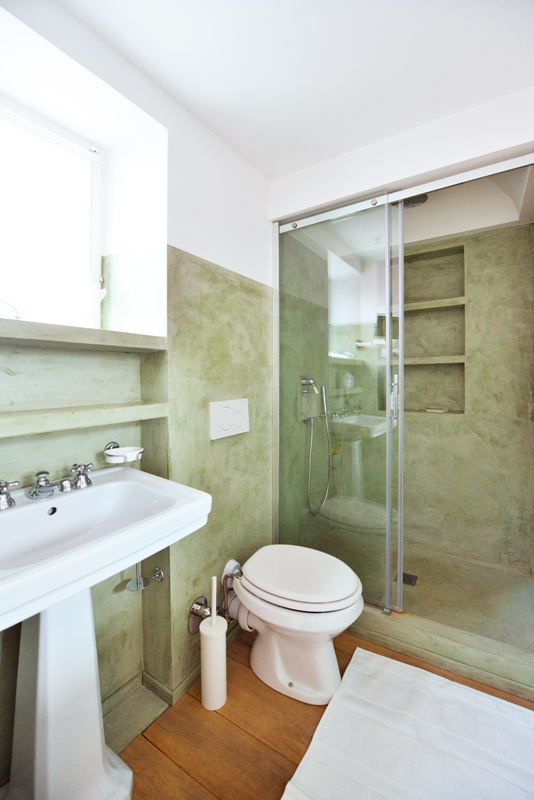 Right by this bedroom, there is the brand new green colored bathroom that offers a wide shower box. The fully equipped kitchen completes this first level. 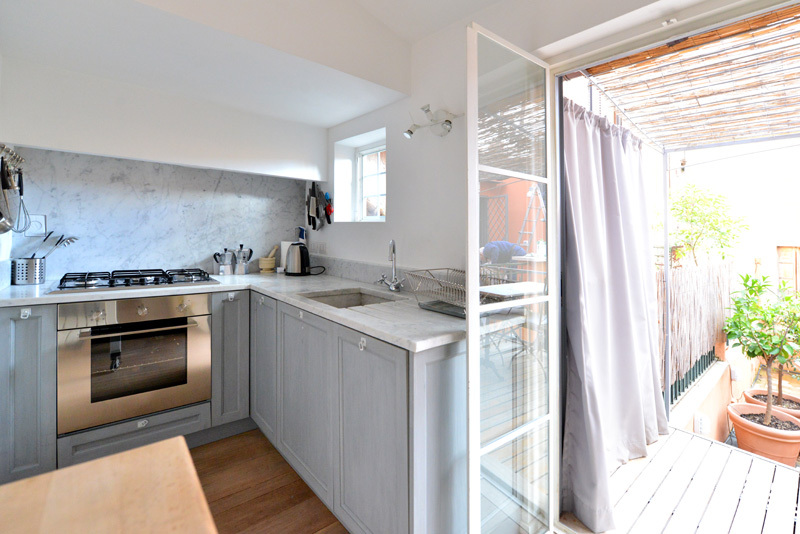 It features a gas stove, an oven, a dishwasher, a fridge, a kettle and a coffee maker. The kitchen opens up to the private terrace with a table for two, the perfect place where to relax during warmer days. A very stylish iron and wood staircase takes you to the second level where there is an open concept bedroom. 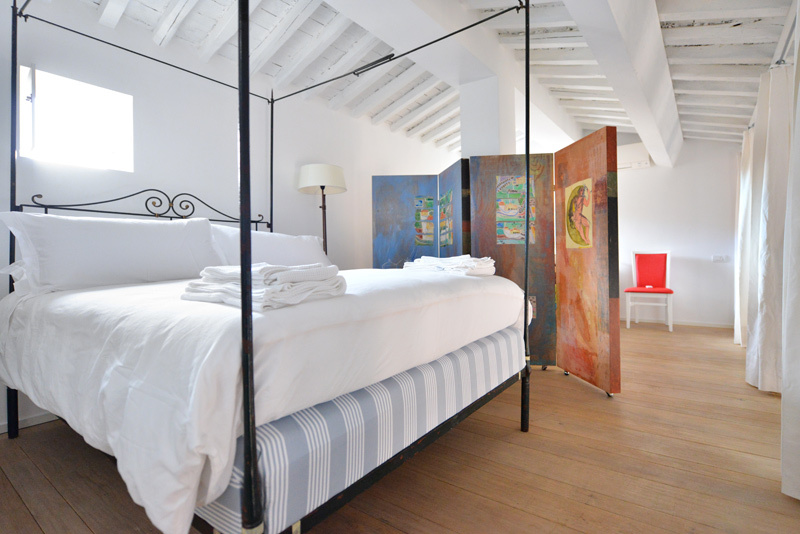 White curtains add privacy to the room, which also offers a king size bed, a folding screen and a day-bed with colorful pillows, ideal for two children. 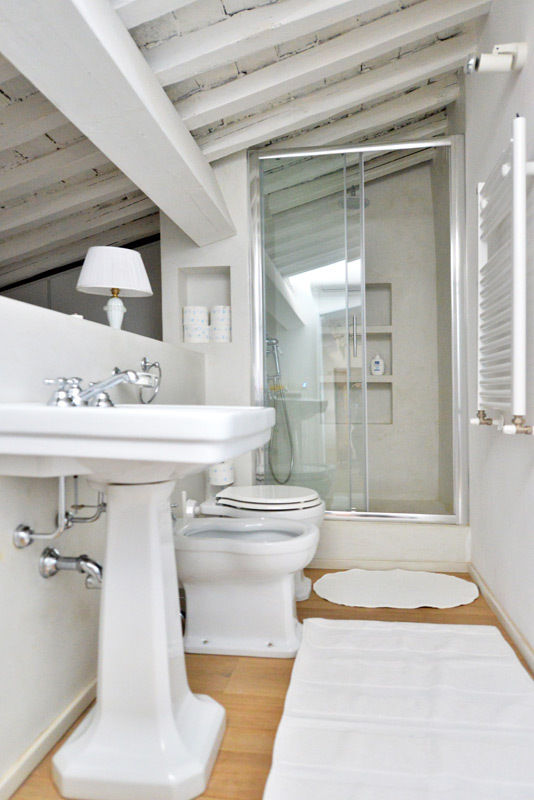 The second bathroom has a shower box and a laundry area, complete with a washing machine and a dryer. 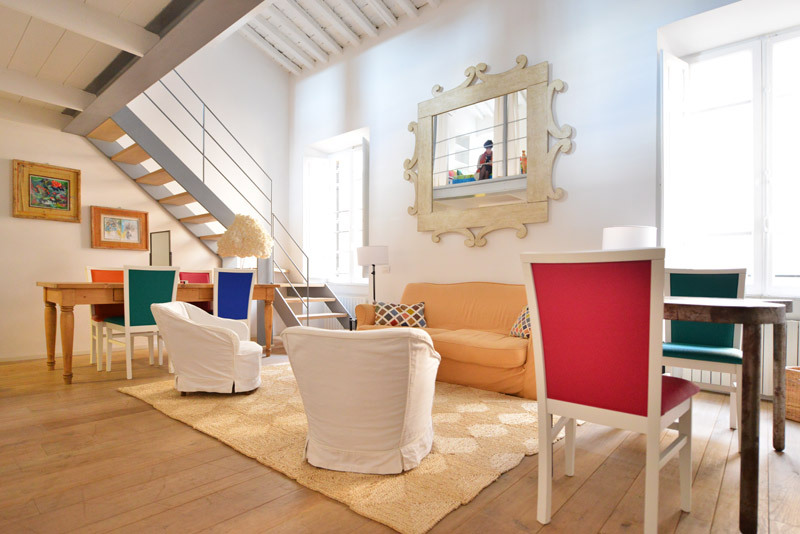 Finally, this elegant Trastevere apartment also offers Wi-Fi Internet access. 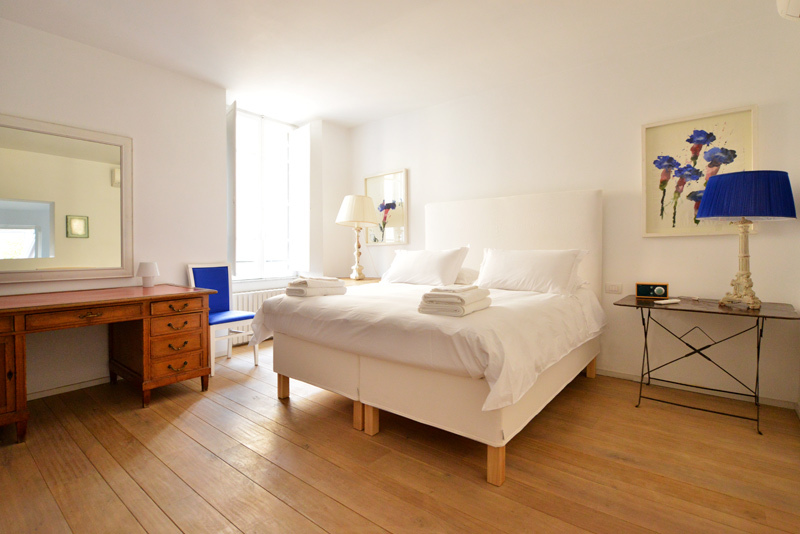 The large windows, the refined parquet floor and the high white wooden ceilings make this loft a unique choice for your stay in the Eternal City. 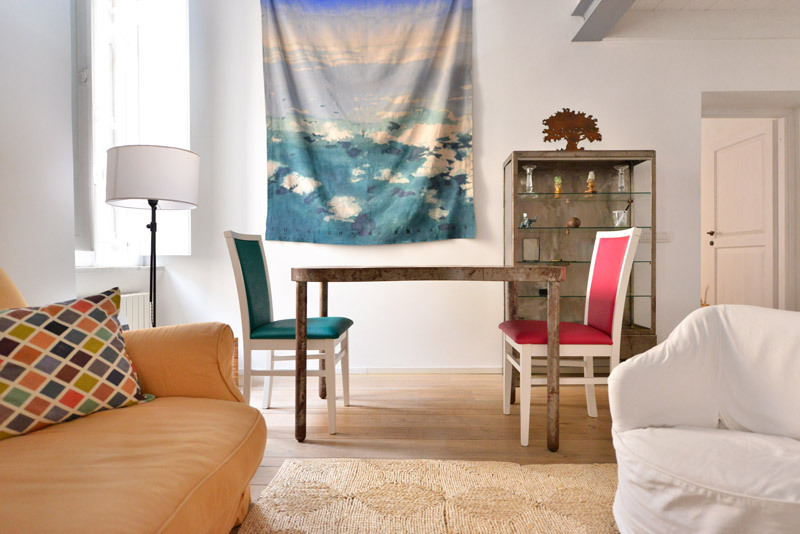 The location of this apartment is a truly charming one. Trastevere has an almost ineffable character, with its sun baked houses, tiny cobbled streets, and plethora of restaurants and bars. In the evenings this is a great place to be based, having your pick of delicious foods, aperitivi, and drinks. The piazzas are a great place to sit whilst eating a gelato and watching the people strolling along. Crossing the Ponte Sisto you will arrive in the Campo de’ Fiori area. We recommend coming here in the morning to pick up fresh produce at its market. You can then use this to cook an exquisite meal in the evening with local flavors. 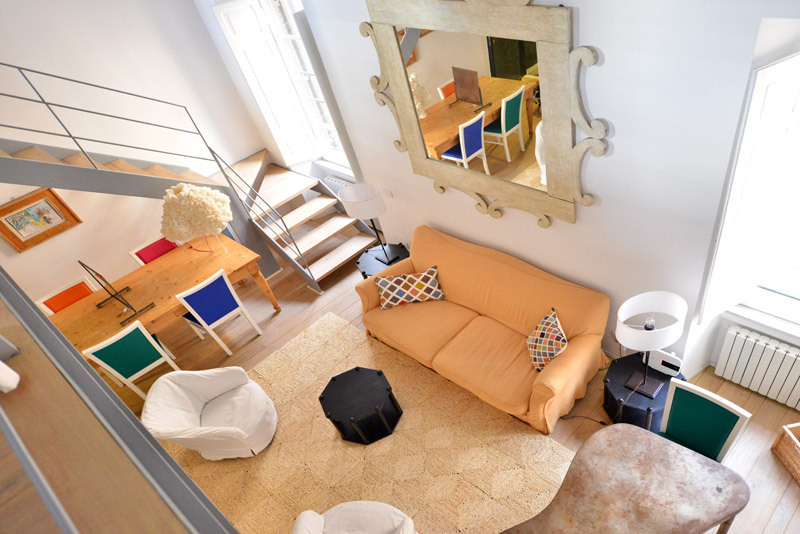 From here you will also have easy access to Piazza Navona, the Pantheon, Trevi Fountain, and, in the other direction, the Vatican. A little further of a walk will take you to the Spanish Steps, Piazza Venezia, and the Piazza del Popolo. Heading to the back of Trastevere, you can climb some steps to take you up the Gianicolo hill and up to the Piazzale Garibaldi. Come here at sunset to enjoy the sun going down behind the cupola of the Vatican’s St Peter’s Basilica. Absolutely perfect. Every detail from booking to check out was handled professionally. We had arranged transportation from the airport to the apartment. The driver, Honey, was a pleasure. We were met at the apartment by Nissar, who was very personable and accommodating. 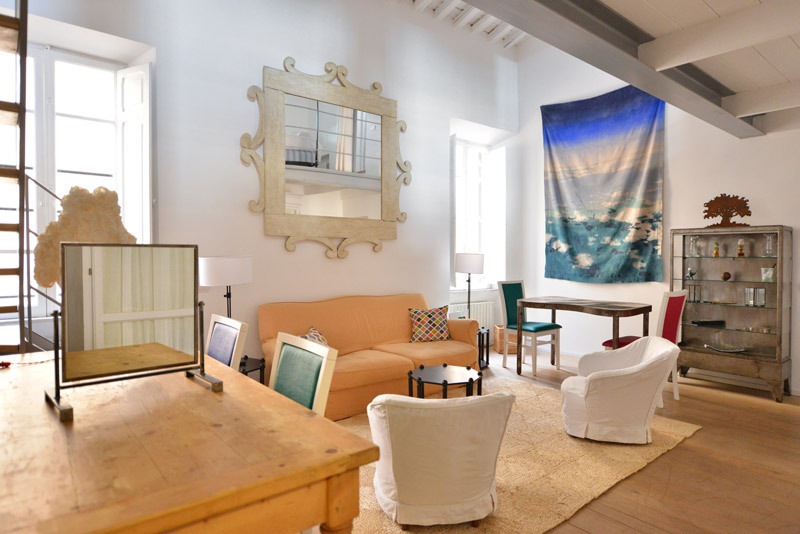 The apartment is in a great location for exploring Rome, and a comfortab...Read Morele place to return at the end of the day. 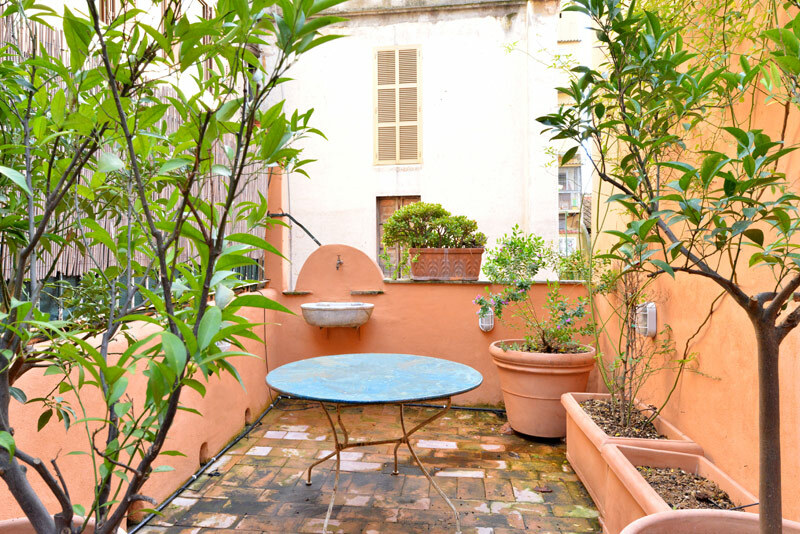 The apartment is on a quiet side street in Trastevere, but the area has many restaurant options and a vibrant nightlife. The beds were very comfortable and the bathroom had a modern shower with plenty of hot water. The separate spaces were great for two couples traveling together. Lots of common space, but privacy when you needed it. Nissar arranged for Honey to return pick us up when we were ready to leave and take us to Roma Termini for the next leg of our trip. We knew we were in good hands. All in all a great stay. Highly recommended. Place was very clean. Small but very enjoyable terrace getting morning sun. Easily sleeps 5 people although only one real separate room. Romeloft is very responsive to e-mails. WIFI worked very well. Some basics such as oil and salt were present in the kitchen from previous users, which was handy. 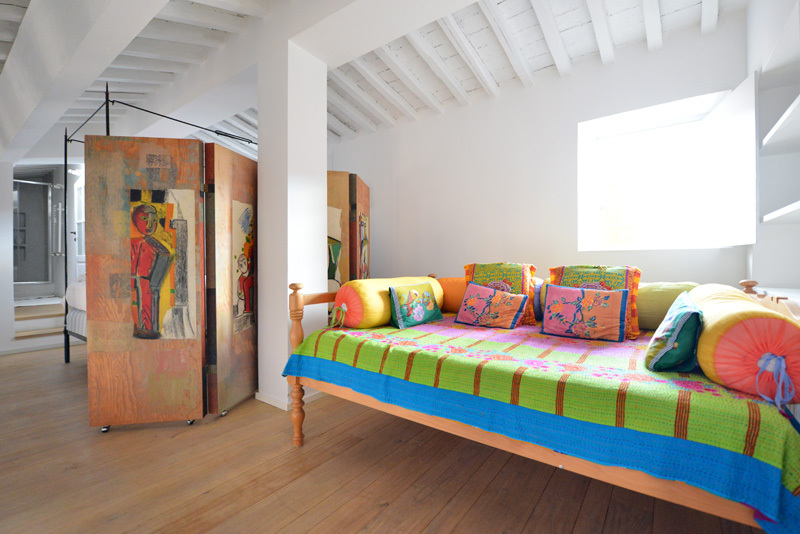 Low but comfortable couches in a spacious l...Read Moreiving room to take an apero rest from a tiring day of walking.